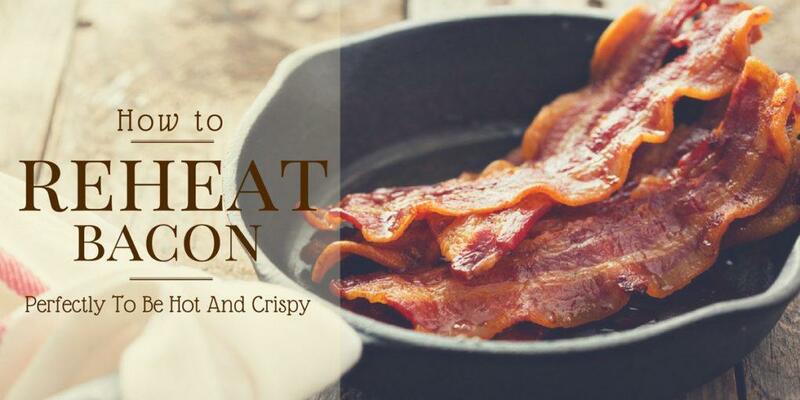 →How To Reheat Bacon Perfectly To Be Hot And Crispy? The bacon should be fresh and precooked to last for about 7 days. This will help you to save some money and time. All you will need to do is just ﻿reheat th﻿e bacon﻿ when you want to eat. Put the bacon leftovers in a container that is clean. Keep the container in the freezer. This will ensure that the bacon doesn’t go bad. It should be flavorful and juicy when you want to eat it. Line a baking dish with ﻿aluminum foil and flatten it. Sprinkle your non-stick cooking spray on the aluminum foil. Arrange the bacon in the baking dish. They should be spaced out well and ensure that they don’t overlap each other. Place them in the oven and heat them for about 5 minutes. They can take longer depending on how they were cooked before reheating. If you like a crispy surface, you can reheat them longer. Ensure that they don’t overcook or get burnt. This method is easier and simple. Dry heat is used to reheat the bacon. The coagulated fat will melt on the top to give you a crispy texture on the top. An oven is ideal when you have more bacon to reheat. You can reheat a batch once. The method is easier and convenient. You can easily avoid the stovetop mess. The following are some of the steps that you can follow when using the microwave. On a plate that can be used safely in a microwave, line the paper towels. The towels will absorb the excess oil. 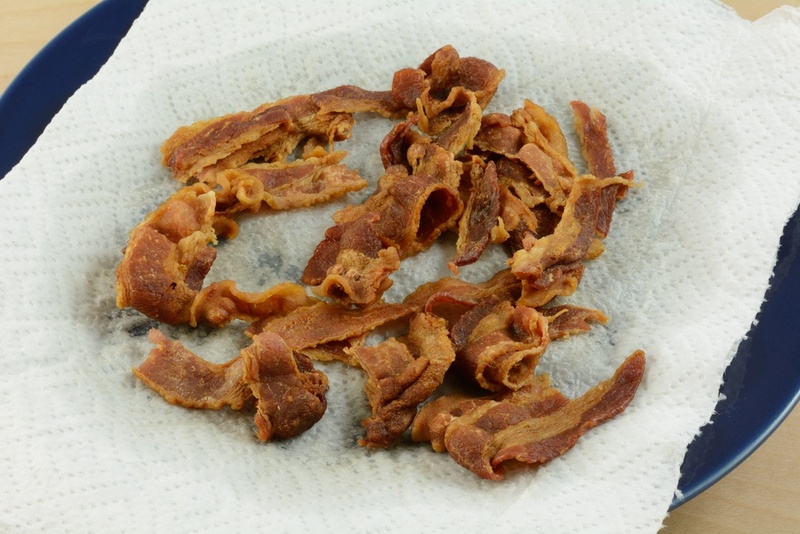 Put your bacon on the towels and cover them with another layer of paper towel. Place them in the microwave and heat for about 10 seconds. You can microwave them longer if the bacon strips were in the freezer. The microwave method is best when you want to reheat few bacon strips for your breakfast sandwich or salad. It is easier and quicker. The cleanup is easier, there is no splattering of grease, it is safe to handle the tray, and there is no grease loss. With this method, you may require more paper towels. The time will be determined by the amount of bacon, if it was taken out of the fridge, and also the type of microwave you are using. Put the skillet on the cooktop and turn it on to medium. Toss the bacon in the skillet when it is hot enough. You don’t need oil to reheat the cooked bacon. This is because the oils will get out of the bacon. As soon as smoke starts to come out of the bacon strips, the bacon is ready. 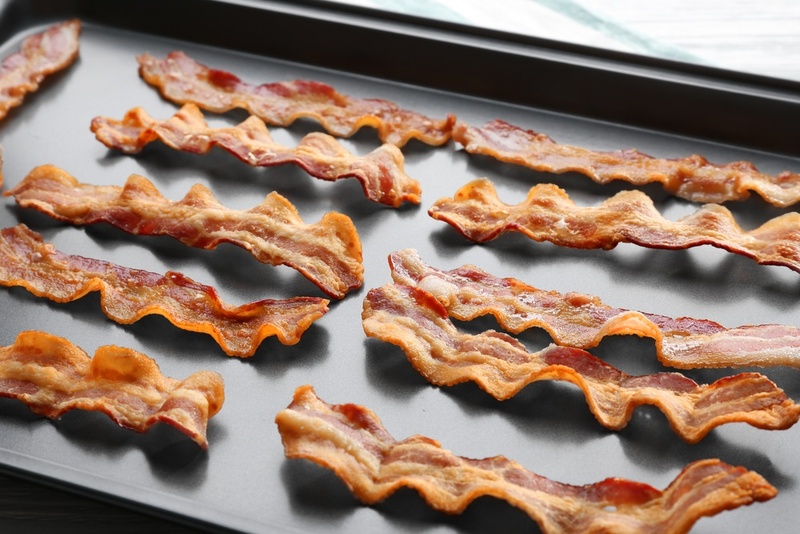 Put the bacon on a plate that is lined with paper towels to absorb the excess oil. Allow the bacon to cool for some few minutes before it is served. In the skillet, the bacon will get hot quickly. You can use a cast-iron skillet, a normal skillet, or a frying pan. The cast iron is ideal because the bacon cannot get burnt or charred. 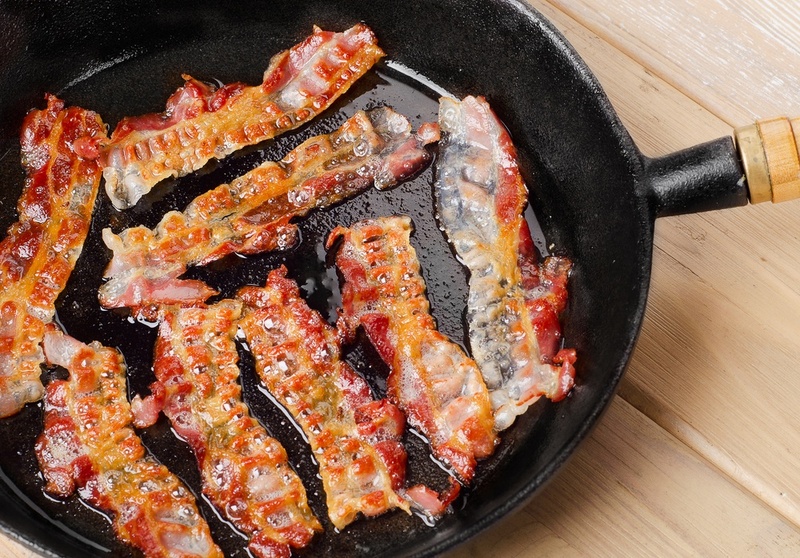 When using a skillet, you can place the bacon on the pan before you place it on the stove. Ensure that the strips don’t overcrowd the pan. This method may not be ideal if the bacon was in the fridge. It is good for meat that has cooled slightly. Ensure that the bacon you are reheating is still in good condition. After precooking your bacon, it should be kept safely. You can use the freezer bags or plastic bags that can be sealed. You can also use an airtight container. The bacon should not stay in the fridge for more than 5 days before reheating. It can be kept for more than 3 months in the freezer at 0 degrees. 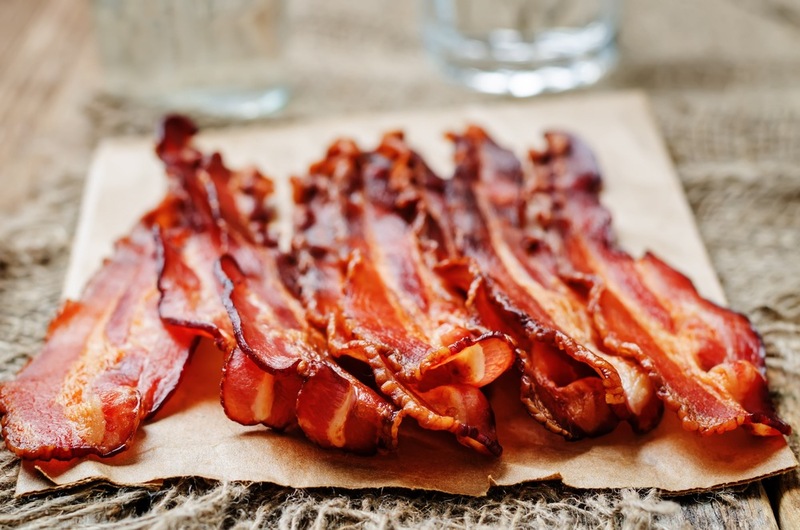 Most people enjoy eating the bacon despite the fact that it has high-fat content. The bacon is delicious when served hot and crispy. 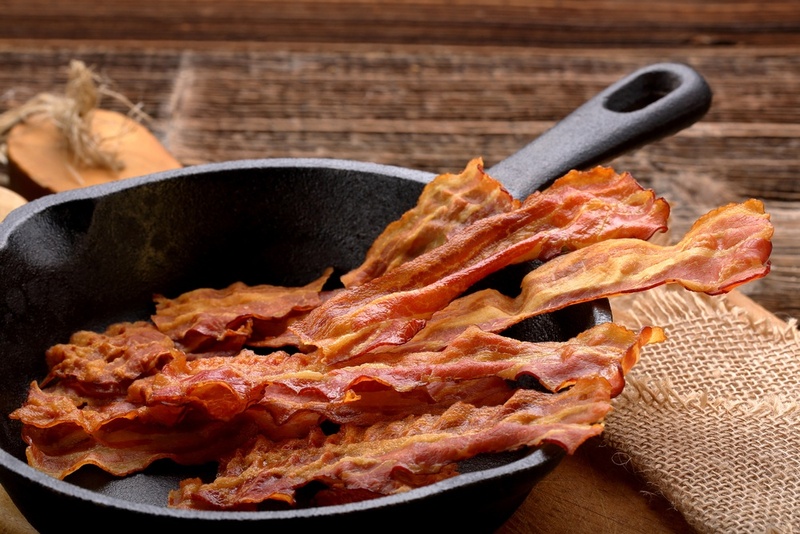 The cooked bacon should not be left at room temperature. This is because bacteria will grow fast at 40-140 degrees. Ensure that the meat is discarded if it is left at room temperature for more than 2 hours. The bacon can be served for dinner, lunch, breakfast or at any time of the day. The above methods can be used to reheat the bacon if you have leftovers. The methods will ensure that you have a great meal another day. The process of reheating the meat may be tricky. You may end up with dry meat or make it crispy. The above guides will make it easier and simple. 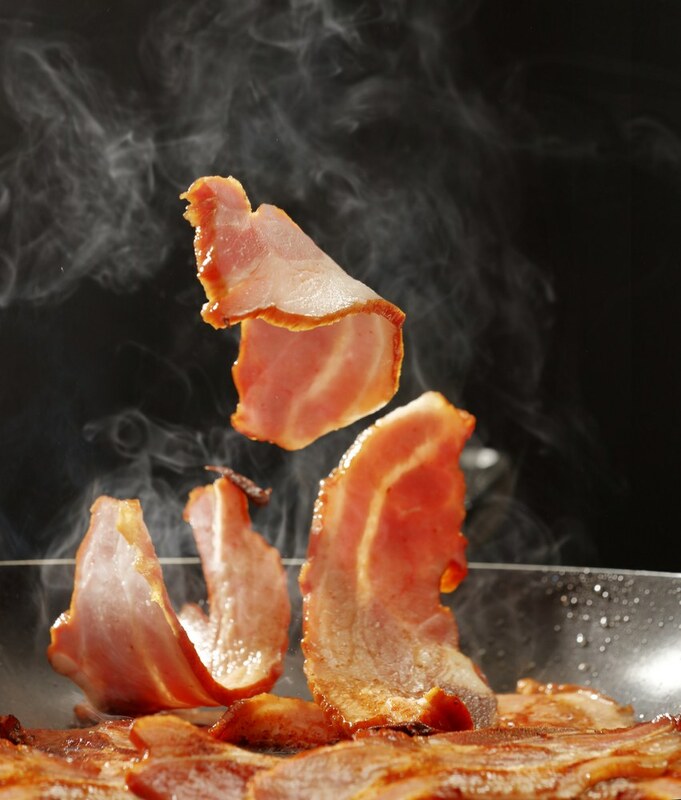 Did you enjoy reading on how you can reheat bacon? If you have a related question, idea, or comment, feel free to let us know below. You also learn how to reheat biscuits.